Each New Year’s Eve, in addition to dining, dancing, and watching the ball drop in Times Square, Americans make New Year’s resolutions. It is a tradition that is indulged in by almost 133 million Americans, or 41 percent of the population.1 Unfortunately it is also a tradition that meets with little success. Only about 9 percent of Americans actually keep their New Year’s resolutions. But we try to improve our lives anyways. This year, instead of working on a difficult resolution, like losing weight or turning your financial situation around, why not resolve to just take better care of the only set of teeth you will ever have? How do you take better care of your teeth? The key to success when making resolutions about your oral health is to follow some simple guidelines. According to psychologist Paula Durlofsky, PhD, a blogger for PsychCentral.com, for the best chance at keeping your New Year’s resolution there are six rules to follow.2 First, develop a specific goal. Then break it down into smaller steps. Your goal would be to take better care of your teeth. The smaller steps might be those recommended by the American Dental Association.3 They include brushing your teeth twice a day for two minutes at a time using good brushing techniques; using a fluoride toothpaste and a soft-bristled toothbrush or electric or battery-operated toothbrush and replacing the toothbrush or toothbrush head as recommended. They also include flossing in the tight spaces between your teeth every day and scheduling regular dental cleaning and exams. Accountability for dental health The second rule to keeping your New Year’s resolution that Dr. Durlofsky recommends is to write the resolution down and post it where you can see it every day as a reminder. Research has found that this helps people stay focused on the goal they have set. The third rule is to let other people, such as a significant other or friend, know about your goal. This is a way to hold yourself accountable and enlist the help and encouragement of people who can support you in accomplishing your goal. Routine dental hygiene The fourth rule is to have coping strategies in place to deal with obstacles that might hinder your progress. In taking better care of your teeth an obstacle may be that you are just too tired by the time you head for bed each night. The coping strategy in this circumstance might be to take care of your teeth during a commercial break when you are watching television at night. You could also make it a family affair and take care of your teeth while your children are taking care of their teeth before they go to bed. This would also serve to role model good oral health behaviors for your children. The fifth rule is to reward yourself for making progress. You might make a deal with yourself that after a month of brushing twice a day and flossing each day you will treat yourself by purchasing an electric or battery operated toothbrush. Seeking dental help Finally, if you are having trouble making progress on your goal, ask for help. Your dentist and dental hygienist are professionals whose business is your oral health. They have a wealth of information on how to take good care of your teeth. If you see a dentist or hygienist seeking advice that will also go a long way in ensuring that your teeth stay as healthy as possible and make 2019 the best New Year yet. Plus, you will join those 9 percent of Americans who actually keep their New Year’s resolutions! Sedki Dentistry, Commerce Twp MI can help you realize your oral health goals and maintain optimal long-term dental health. 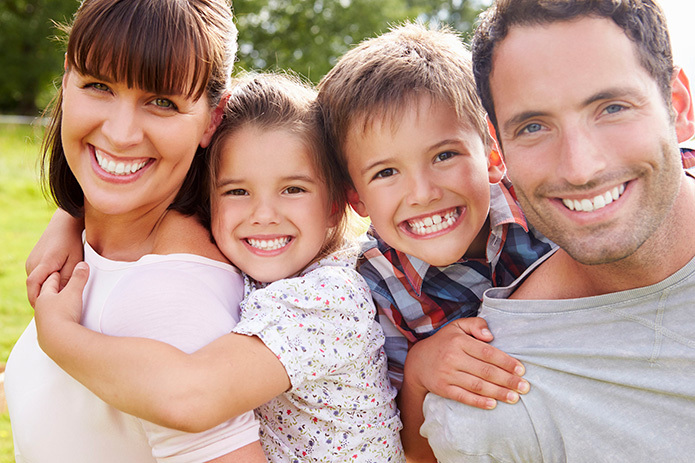 We are a complete family dental clinic that offers services for all dental health concerns. Our dental office utilizes the latest technology in dental equipment and techniques including digital x-rays. From cosmetic dentistry to an array of dental treatments and family dental care, Dr. Sedki and his staff are always ready to brighten your smile and address your dental health concerns. Call us today to schedule your appointment!